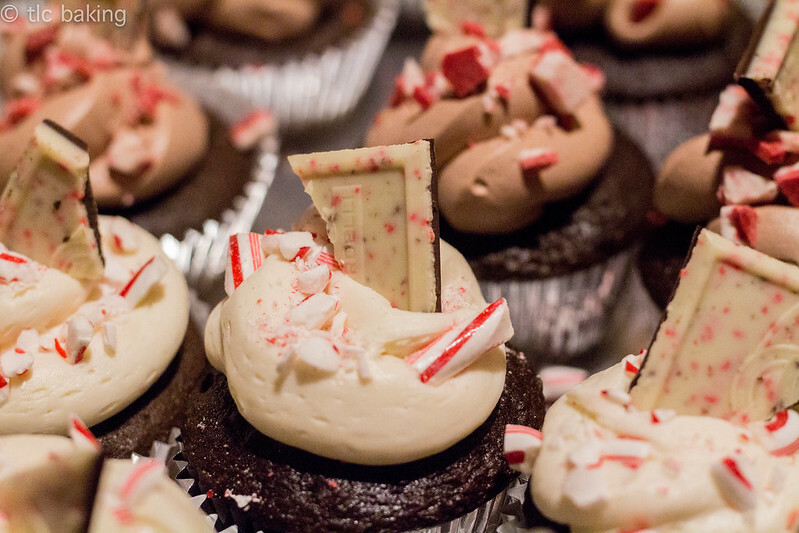 chocolate peppermint cupcakes [a pumpkin and a princess] – tlc. | tender love and cupcakes. Last week’s candy cane crinkle cookies were just a part of a much larger peppermint kick that I was on right before winter break. Nearly every one of my finals week study breaks involved baking. 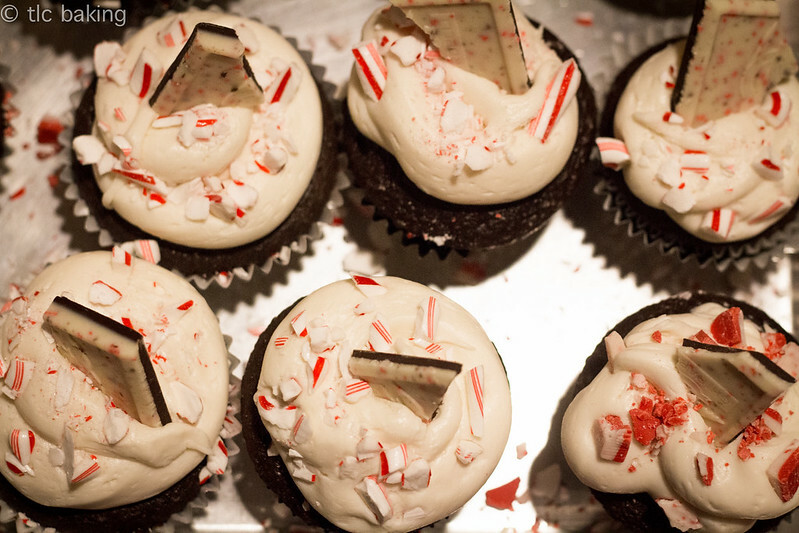 I knew there was one treat that needed to be part of my week’s menu, more than anything else: peppermint cupcakes. Much googling led me to this beautiful post at A Pumpkin & A Princess. 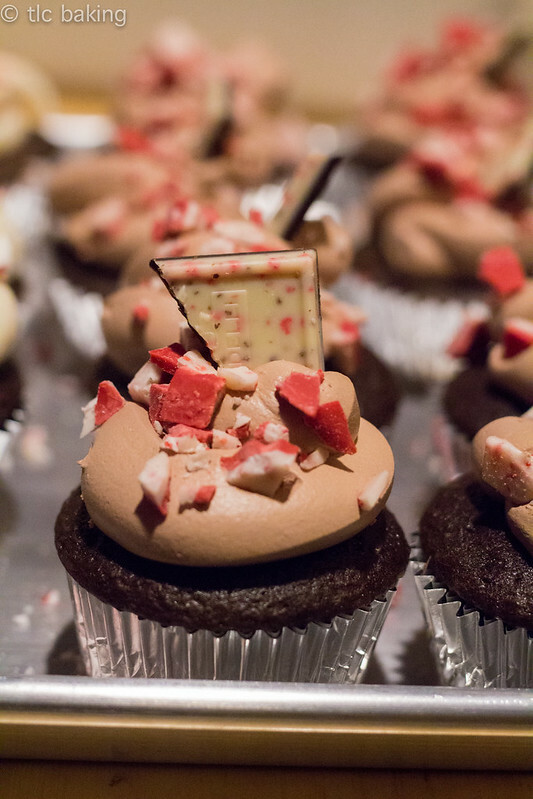 Everything seemed so simple, yet so rich: Betty Crocker cake mix, CoolWhip frosting, all infused with peppermint and topped with ample Andes peppermint chocolate pieces and chunks of Ghiradelli peppermint bark. I spent a couple hours on these, but that is by no means necessary. 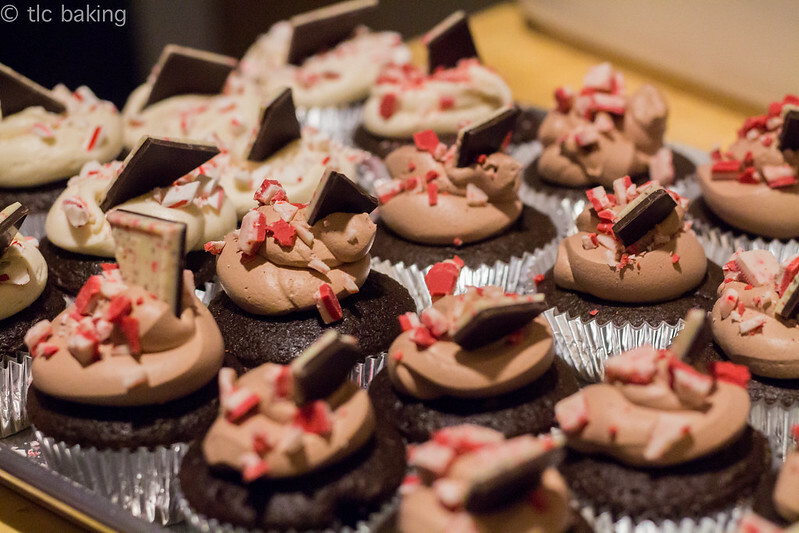 You can mix, bake, pipe, and decorate in no time–especially if you have actual Andes Peppermint Crunch baking chips on hand [which I did not, so I spent a good deal of time beating up Andes Peppermint Crunch Things, as well as smashing mini candy canes for the vanilla-frosted ones]. I also switched to pre-made vanilla frosting [topped with candy canes, as you can see] when I ran out of the CoolWhip chocolate one. Really, you can use any kind of frosting you want. I’d love to make these again with a thick, creamy homemade buttercream with some chocolate pudding mix and sour cream thrown into the batter, too! The CoolWhip frosting had a texture almost like ice cream, which was an unusual and pleasantly surprising change from most cupcakes you’ll find. Unfortunately, that also leads me to a major warning: CoolWhip frosting will melt on you! So don’t frost these babies until you’re ready to serve them, unless you plan on refrigerating them. These were a big hit with my house. They didn’t last long. Say a sweet, minty, wintry goodbye to the cold weather with these delicious cupcakes–and let me know how it goes!